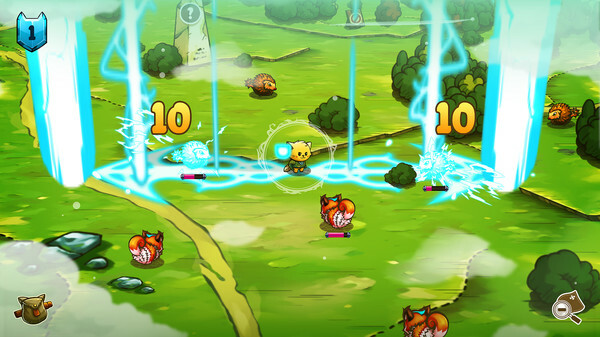 Cat Quest is an immediately catchy game. It looks and feels great, even with its initial simplicity. And it builds up on early foundations in impressive ways to keep the game enjoyable till the very end. 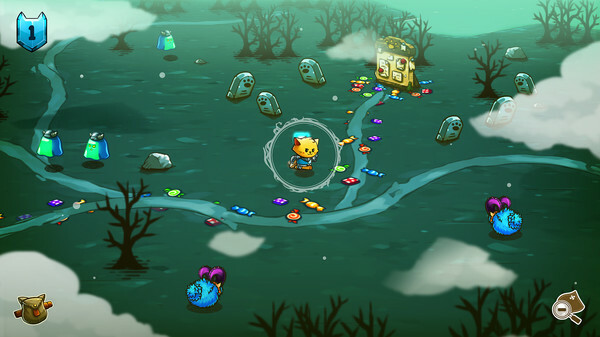 Cat Quest is an technically an open world role playing game, but with a much tighter focus. You set forth into Felingrad in search of your kidnapped sister. Along the way you meet many colorful characters across varied locations, all brimming with charm and wonder. 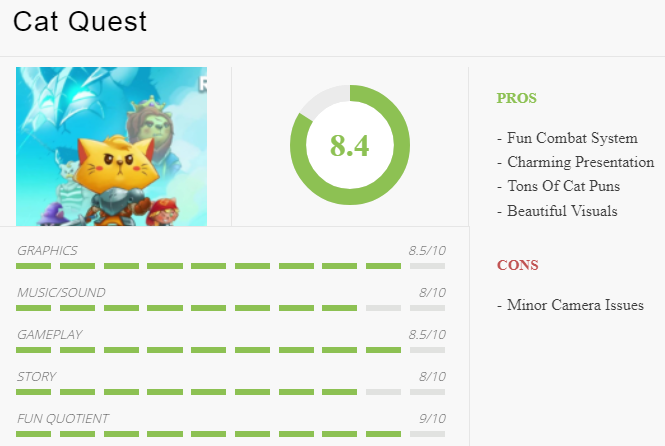 However, don’t let the beauty of the world deceive you, because Cat Quest is heavy on combat, and tons of RPG mechanics. You have your regular hack and slash weapons, complimented by magical spells. 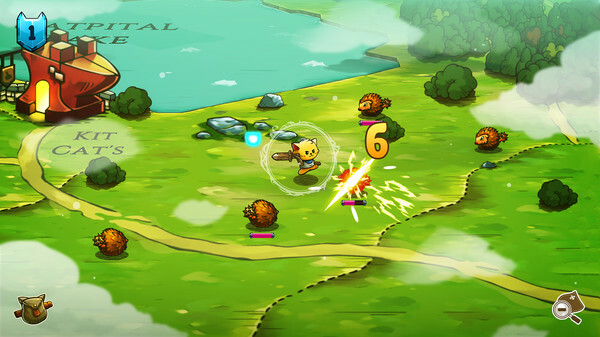 Spells regenerate as you use melee combat, and this leads to a great mix of magic and melee, all the while dodging and weaving between enemies. The camera is a fixed at an isometric, and it’s fine for the most part. However, occasionally, your view may get blocked, and this can lead to some frustrating moments especially while in combat. As you go forth and explore, you also come across tons of side quests. These are mostly for leveling up and getting better gear, but they are also a ton of fun. Speaking of gear, you find new weapons and armor often, and for the most part, they feel unique and incrementally powerful. 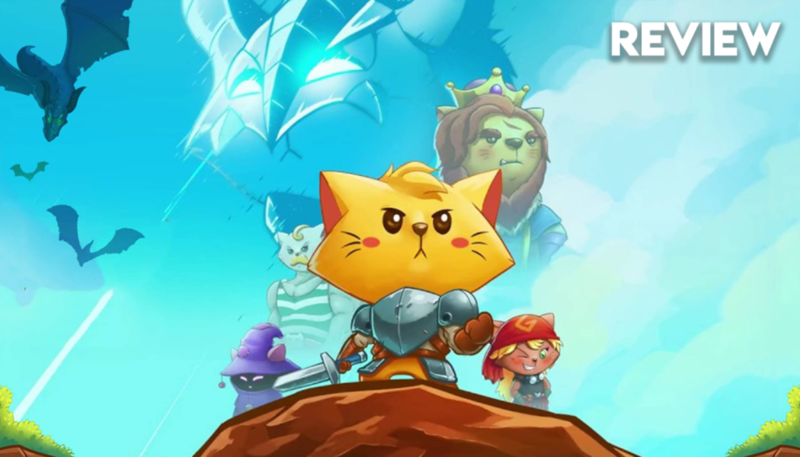 Cat Quest focuses on being a joyful and lighthearted experience that still manages to offer deep gameplay. It’s not overly long, but your visit to Felingrad takes you across a fascinating land of cats and cat puns, and totally makes it worth experiencing.